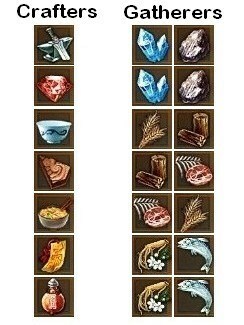 This is a guide for players to leveling Crafting and Gathering in Blade and Soul. In Blade & Soul, after reaching level 11, you can sigh 2 contracts with crafting guides and 2 with gathering guilds. 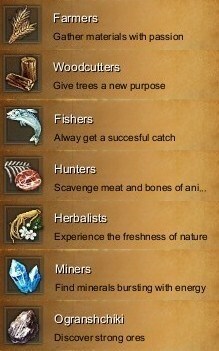 It is no need to craft items by yourselves in Blade and Soul. What you need to do is to place orders with your crafting guide and wait for them to complete your item, which you pay the NPC a small amount of Blade and Soul Gold to do the job for you. A few minutes later, the order will be done and the item will be delivered. At the same time, you can get experience with the specific guild. Certainly, you are free to leave the gather/crafting guilds at any time you want and switch to another one. It is kindly remind you that you will lose all EXP you gained with them so far. It is really a little confusing for players at first. Therefore, it is recommended you take a look into all the 14 guilds beforehand and make a plan for what you want to level as all of them have different requirements and connections. Each crafting guild is connected to 2 gathering guilds which resources you will be using to craft. Of course you are always free to pick what you want and buy materials from Auction House. It is kindly remind you that it’s easier and cheaper to craft them by yourself. By simply ordering guides to make materials for you, you can level your crafts all the time. Though it takes time and money, it is really worth it as you will be automatically unlock new designs for items on higher levels, which is a little different from guilds of gathers that you unlock gatherable resources by find their samples all around the world. It works a bit different with guilds of gatherers – you unlock new gatherable resources by finding their samples all over the world. Locations of all of them will be in a separate article. After placing your craft a small icon will appear on bottom of your screen and when you hover over it a tiny craft window will pop up showing the status of your current crafts. From there on you can simply gather goods and repeat the same orders. 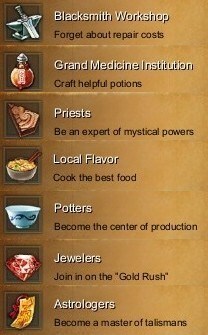 Higher level crafts require rarer ingredients and craftable items made by other guilds. If you want to leave a guild, just simply right- click the guild logo in the Crafting Tab (L) and choosing the “Leave Guild” option.